HSS: Black Mountain Transmitter, "Black Goat of the Woods"
Black Mountain Transmitter, "Black Goat of the Woods"
Also available on Aurora Borealis next month is the official release of Black Mountain Transmitter's Black Goat of the Woods, which was self-released on CDr last year. 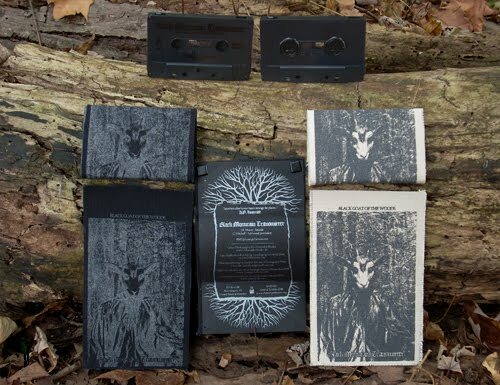 And if you're still loving analog, you can get a limited edition cassette of this same album from Auris Apothecary. One of my favorite drone releases of the past few years - dark, ritualistic, and overwhelming at times. 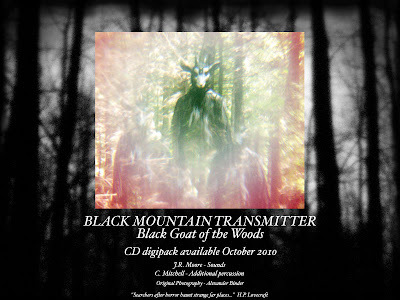 You'll want to hustle on this when it's released (9/23/10) - especially the cassette, because all the BMT releases sell out pretty quick and are highly limited.